Campus life plays a huge role in the college experience. But what kind of events can you find only at an art school? 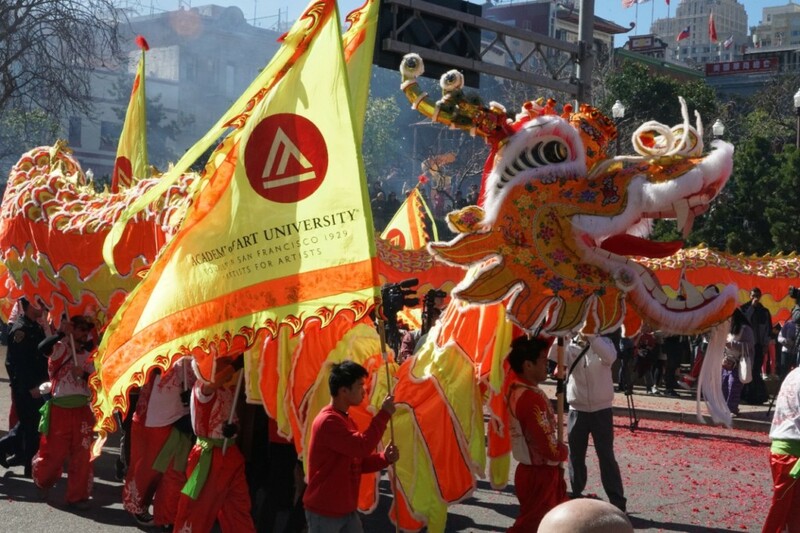 For 16 years and counting, Academy of Art University and our students have proudly displayed floats in the San Francisco Chinese New Year Parade. Created by students and faculty from different departments, each amazing float pays tribute to the zodiac sign of the year. Notably, floats from past years have earned the Most Artistic Float Award. You can expect another show-stopping float from the Academy students in this year’s Chinese New Year Parade happening in the city on February 23. 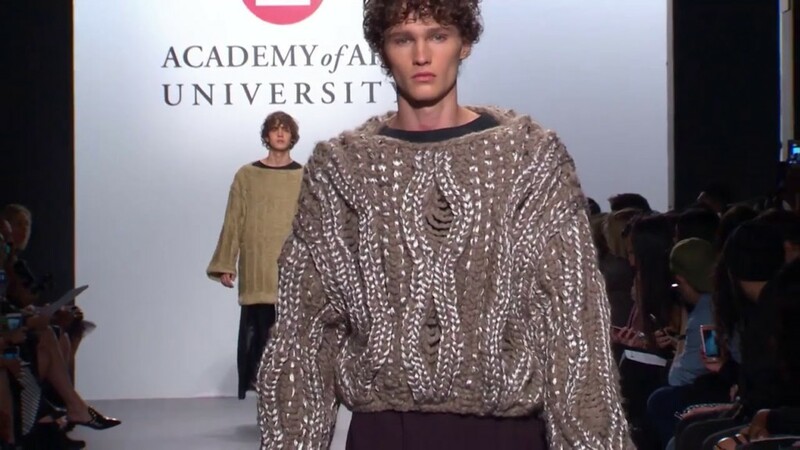 Each year, student designers in the School of Fashion have the chance to see their collections walk the runway at some of the top fashion shows in the country—including New York Fashion Week. Students also exhibit their work at the San Francisco and Graduation Fashion Shows in front of industry professionals and recruiters. Students from all departments showcase their best creations at the Academy’s Spring Show, one of our hottest yearly events. Spring Show isn’t just a show-and-tell, however. Industry professionals and other special guests attend to view student displays, offer feedback, and potentially hire. School directors and faculty also select outstanding students for awards. Departments within the Academy host other networking events like Spring Show to help our students build important connections. For example, our School of Web Design & New Media hosts the Ideate Conference every semester. At this conference, students attend guest speaker panels and review their portfolios during practice interviews with experienced professionals. 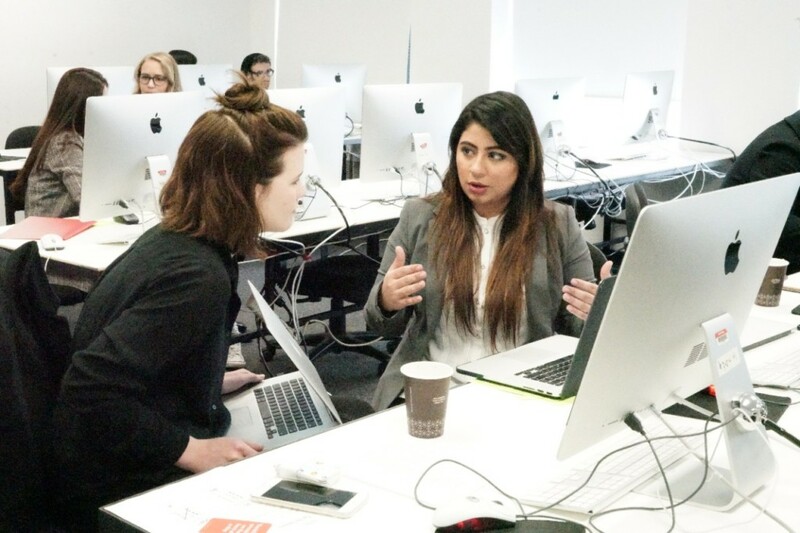 “It’s great that you immediately get to talk to people and talk to big companies and get a lot of exposure,” said Shama Toshniwal, a Web & New Media student, in Kicking Off Your Career: 2017 Ideate Conference. Like Spring Show, the NXT UP Film Fest showcases student films from the School of Motion Pictures and Television. During the 2018 festival, however, the judges for the student awards were industry professionals who worked on movies like Manchester by the Sea, Call Me By Your Name, and The Shawshank Redemption. “We wanted to get an assessment of what people were really thinking, the heads of each of their own particular crafts,” said Motion Pictures & Television Director Randy Levinson in an Academy Art U News article. As you can see, campus life at an art school is designed to support the future careers of its students. Aside from networking events, the Academy hosts dozens of guest speakers and panels throughout the year. Students can learn more about what it’s like to work in the field straight from major artists and designers themselves. Big names featured in the past include Disney animators, Blizzard Entertainment of the Overwatch and World of Warcraft fame, and sound mixers who worked on movies like Inception, Thor: Ragnarok, Titanic, and Avatar. When talking about campus life, we can’t forget about student clubs! Some of our student clubs host their own activities during the year, like the Game Club, which holds gaming events. Meanwhile, other organizations like Tea Time Animation and the Jewelry and Metal Arts Club invite guest speakers and attend outside conferences. All in all, you can count on student clubs in art school to keep you busy! Cheering on school sports teams forms a big part of college campus life, but most art schools don’t have sports. At the Academy, however, art school students can experience what that’s like—thanks to our NCAA Division II athletics teams. Over the years, our amazing athletes have won two NCAA National Championships and made 35 NCAA National Championship appearances. While studying online is an increasingly popular learning option, it can sometimes be lonely. Hence, we have our annual Summer Expo, a special event for our online students. At the Expo, online students have the chance to visit the campus and form strong connections with other students. Students can also tour Spring Show, participate in hands-on workshops and panel discussions, and attend a networking party. 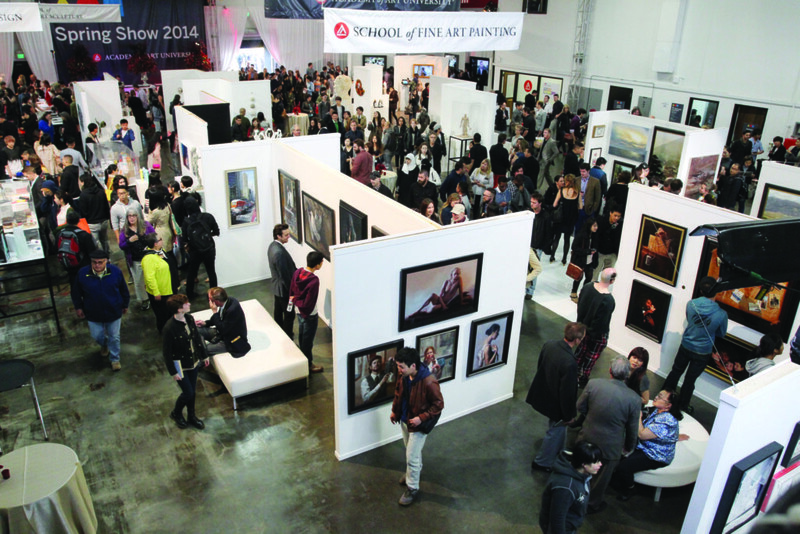 The annual Faculty and Alumni Fine Art Auction takes place online and in San Francisco each fall. Buyers can bid on a wide range of artwork, including jewelry, sculptures, and paintings, created by Academy alumni and faculty. Half of the proceeds go to the artists, while the other half goes to Student Scholarship Fund. The Scholarship Fund benefits our students who won awards at Spring Show. Last but not least, students from our School of Acting put on vibrant, high-energy theatrical productions every semester. Not only do our students get a chance to practice their acting, but you also get to enjoy an exciting performance! The above events aren’t all that the Academy has in store for you. 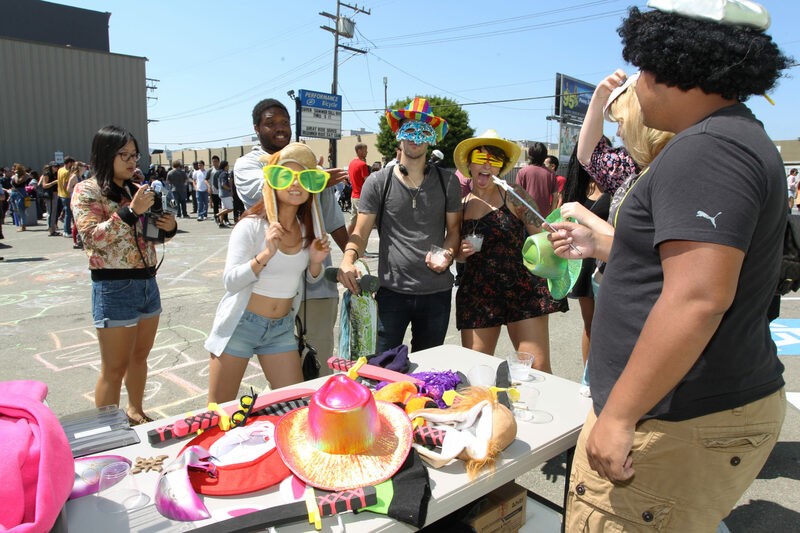 Other fun yearly events include Welcome Week activities, Halloween costume parties, various student contests, themed sketch nights with costumed models, and more. In addition, 2019 marks the 90th anniversary of our art school, so get ready for an exciting year with even more to do! Visit our website, or keep up with us on our Instagram or Twitter account. There’s always something going on at art school, so don’t miss it!